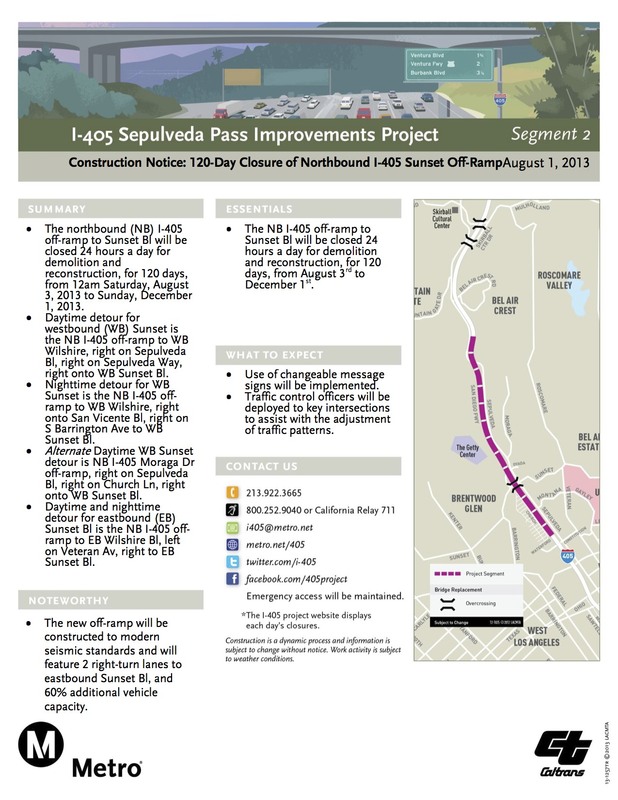 UPDATE: The 405 project team says the Sunset Boulevard off-ramp from the 405 will close at 8 p.m., not 7 p.m. as we originally posted. 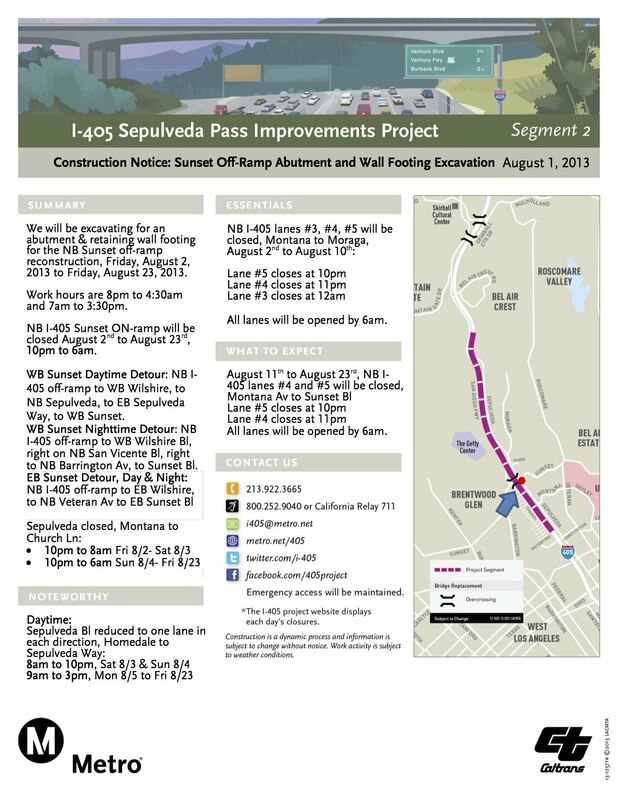 •A 120-day closure of the Sunset Boulevard off-ramp from the northbound 405 begins tonight (Friday, Aug. 2) at 8 p.m. It is scheduled to reopen on Dec. 1. The ramp is being demolished and rebuilt. 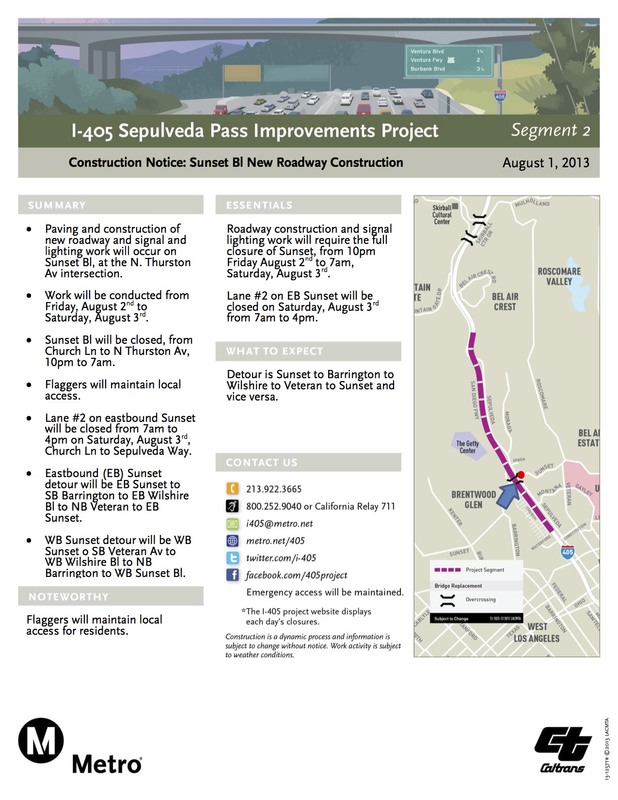 •Sunset Boulevard will be closed from 10 p.m. tonight until 7 a.m. Saturday between Church and Thurston. 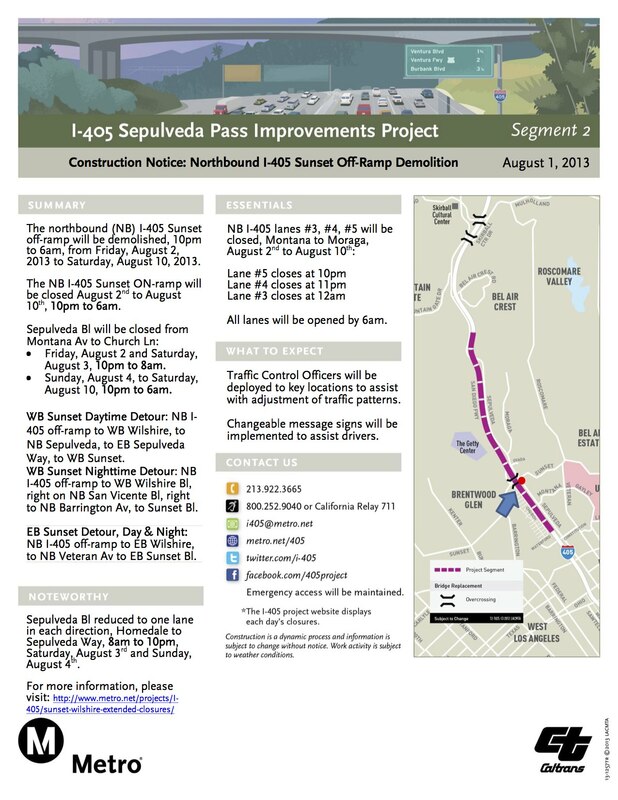 •The on-ramp from Sunset Boulevard to the north 405 will be closed tonight at 8 p.m. and every night from 10 p.m. until 6 a.m. between tonight and Aug. 23. •Sepulveda Boulevard will be closed between Church and Montana tonight and Saturday night from 10 p.m. until 8 a.m. the following mornings. On Sunday night and continuing until Saturday, August 10, the closures will be every night from 10 p.m. until 6 a.m. the next morning. After the jump, I’ve posted the four construction alerts with more information on each of the four closures listed above. Detour information is included.